Yay!! 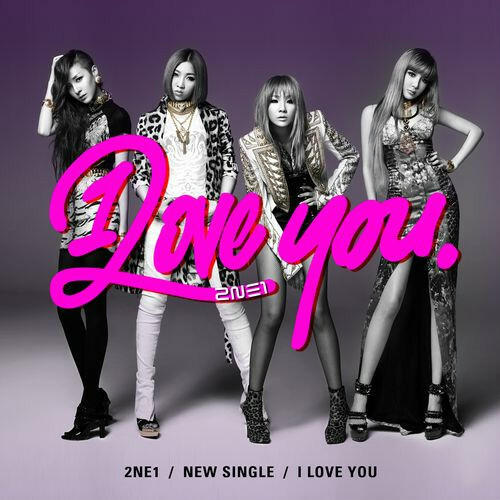 2NE1 is back with a new track called I Love You. My favorite girls are back!! I love it that they have a more mature sound in this single with a touch of the 2NE1 sound that the Blackjacks have grown to love. This song is a mix of electronica, house, rnb and hip hop.. with a bit of the retro feel that is popular now in Korea. Do I like it? Yes!!! I love that it’s catchy with the lyrics saying I Love You. It kind of reminds me of cross between Bonnie Bailey and Kylie Minogue track with a twist of the 2NE1 sound they are familiar with. It’s no doubt this is a track that only these girls can perfect! I love that they experimented with this sound, and they have delivered it. I love that YG has finally shown the sensual and mature sides of the girls! I love the glam, the make up and the clothes! So fashionable! I gotta love those close ups! They look very very pretty! Though there’s not much of a story, from what I gather it’s like a girl singing about someone that she loves while thinking about him. I think because the title is I Love You, I would have wanted more than this MV.. like a love interest or something. I’m not complaining about the MV though. I read in a report that Dara shed tears when she had to shave her head for this comeback. I think that’s mighty brave of her.. I think she has has changed from the cry baby Sandara Park in Star Circle Quest to a very mature Dara of 2NE1. (In case you did not know Star Circle Quest was the contest that made her popular in the Philippines. I used to watch it a lot back then, and there wasn’t a time when Sandara didn’t cry or looked pitiful at that time. I wasn’t rooting for her back then, but I think now, she’s not the same girl anymore, and I like her a lot now!). Now I want to see them on music shows, but that means they will be going head to head with my favorite boys… Hmm, well I think that would be good to see them both together in a show! Final Verdict: Can’t help singing I Love You when I hear this song.. but I expected a bit more with the video, but I’m not disappointed. 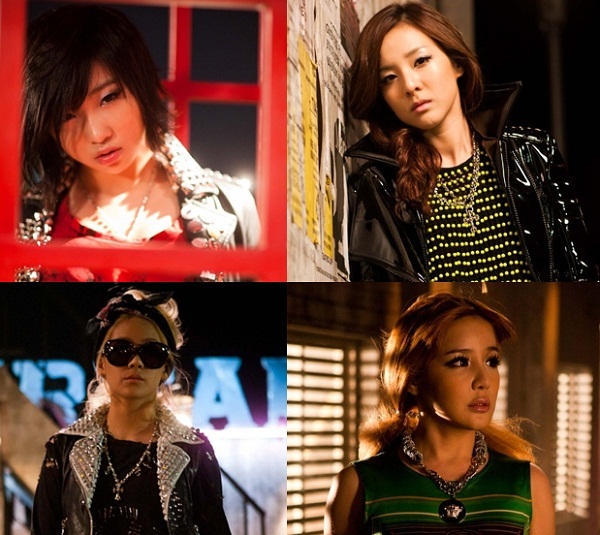 I was all hooked with the Super Junior comeback that I forgot posting about 2ne1‘s comeback! They are coming back with a song called I Love You. Not really sure what to expect of the song, but it sounds like a track with a cross of hip hop, house and electronica. I think the song is now available on iTunes. Wohoo!!! I super love YG Entertainment for posting up the videos of the girls’ concert! They posted clips of 2NE1‘s first concert NOLZA! Only Look At Me – Wow Minzy! 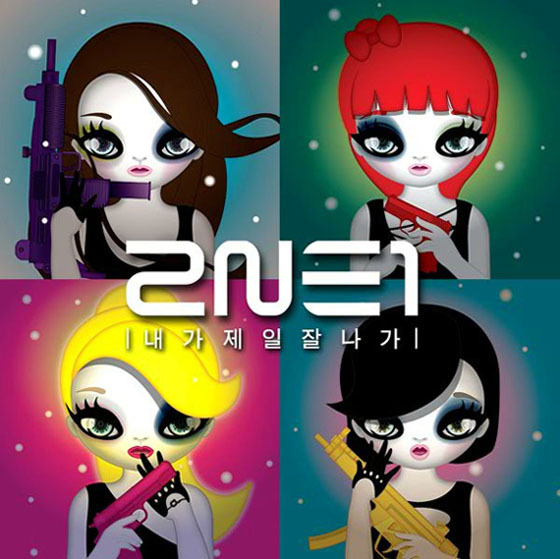 It’s not really my favorite 2NE1 song, but they have a new song out. I love the girls, but I think I am not a fan of this song — well at least not too much. Sorry Blackjacks, but I don’t like the meaning of the song. To me the song is a self-pity themed one, very different from their old songs. I mean, 2NE1 songs are supposed to be screaming girl power, but a song saying “I think, I’m ugly… I wanna be pretty just like her” is not really giving empowerment to a girl. It’s just quite opposite from the 2NE1 concept that I have. The song I think is about a pathetic girl wanting to be pretty. Could they make a song like I Don’t Care?? But what I do love about this song is that they had the whole chorus in English! Wohoo!! Another first from them. Though some of the words are too much accented that I had to listen to it a few times before I can get some of the words. But what I do like about the video is their use of neon glow in the dark paint! How cool can that be! Wish they had a better song though. But this song wouldn’t stop me from being their fan. I Am the Best and I Don’t Care are still my 2 favorite 2NE1 songs. Wow! A fully animated music video from a Kpop idol group!!!! And who made it?? 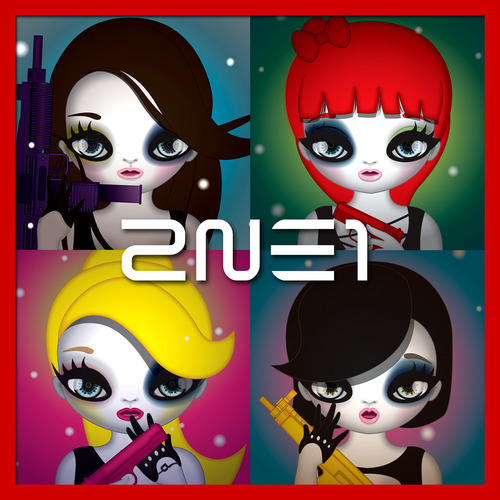 2NE1!!! Cool!! This is their new track Hate You. I so love the innovativeness of these girls. And I think this is what I really like about YG Entertainment. They really push the limits when it comes to innovation. I love that there is always something new about their videos. And this is one of the best videos perhaps of 2NE1. The song.. well it’s not exactly their best, but it still has that 2NE1 sound that’s very distinctive. I can’t wait to see their performance of the song. But But But, though I think their outfits (well some of them) were brilliant, some were way over the top and a little bit ridiculous. But it’s 2ne1 so they can carry that kind of fashion, but I just wish they would stop making the girls wearing too much of that weird kind of fashion. Loved the song, but the video, well I didn’t really like it because they are like telling people that it’s ok to break glasses and records just to prove their the best. And there are guns.. my god stop with the guns already. Why do their songs have to have guns..
Their live performance is a tamer version of the video and it’s worth watching. 2NE1 has been teasing us with the bits of their their new song last week… and early today, they have released their new track Lonely. Aww.. too bad they won’t be promoting this track! I so love it! I know I know I’m a little partial toward the girls because I like their songs (well most of them though… I’m too much of a fan with Clap your hands). But I am not kidding and their is no bias involved when I say that this is a good track, because it shows that the girls can make beautiful music even if it’s not of the dance genre. I’m not sure if acoustic music is the recent trend in Korea but it seems the girls have ventured toward those shores. This track let’s us hear that their voices aren’t just meant for fast hip hop beats but as well as belting some tunes. No wonder Will.i.am that this track would be a hit.. sigh, they should really promote this, but i guess that won’t happen… but please YG entertainment… will it be possible to do it even just one time?? pretty please with sugar and cherry on top? nah.. who am I kidding they’ve already made the announcement. The only thing that I don’t like about the song is the last note… the one where someone shouted.. “eh-eh..” I’m not really sure who did that, I’m guessing CL.. I’m not sure if that’s a trademark of 2NE1 songs or something, but I guess it doesn’t really sound right for me. Maybe they could have ended it in a better way. The video is yet again a unique one! I think that’s the nice thing about the YG videos.. its something unique and something new and fresh. I love how CL looked in this video! So 1960’s in a modern way! something I haven’t seen in Korean videos! The girls are back with a new track Don’t Stop the Music!! Though the video was a little delayed but I think their fans would be happy as it was worth the wait (though I still like Go Away). I’m liking Bom’s red hair in this video!! Posting again… why? because 2NE1 is back! and they are going to be in Ingkigayo for later in the afternoon! I can’t wait for their performance! The girls also released 2 of their music videos… and another one of their videos will be released today.. so i’m posting the 2! Go Away – i really like this song!!! Among the 2 songs I prefer Go Away.. love CL’s rap! Dara looks so pretty in all the videos! kk.. Can’t Nobodu will be released later so I might be posting it up as well! I can’t wait for their performance… it’s said they are going to be doing 3 songs.. got to tune in to Ingkigayo later! can’t miss it!! !